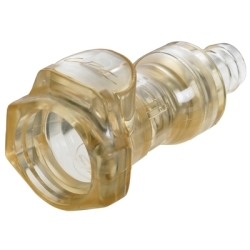 1/2" In-Line Hose Barb HFC 39 Series Polysulfone Coupling Body - Shutoff | U.S. 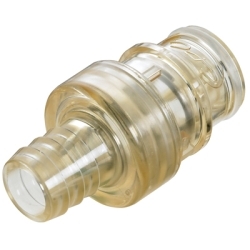 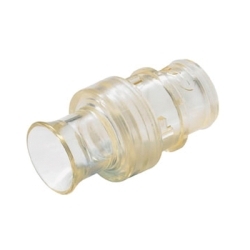 Plastic Corp.
HFC 39 Series 1/2" Hose Barb Polysulfone Shutoff Inline Coupling Body accepts 1/2" IS tubing and has a 3/8" flow. 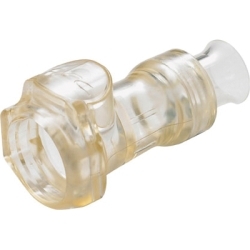 Overall size is 1.44" high and 2.82" long.